A few days ago my family and I went apple picking at Pennings Farm. 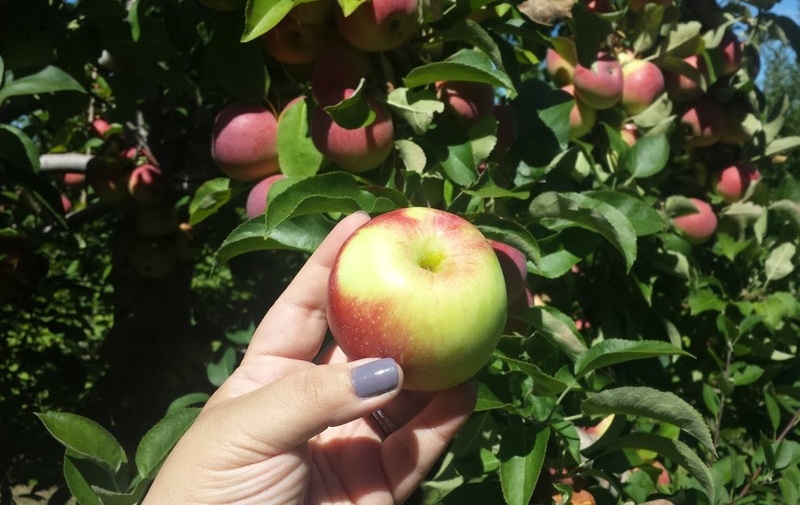 It’s one of my favorite fall activities because not only do you get fresh fruit right from the source but it also creates a fun family experience for all to enjoy. The only problem is – what to do with all those apples when you get home! If I were my mother I would dig into the stack of recipes books I keep on hand for any and every occasion, but I like to take a more modern approach and look for recipes online. It's so much easier, especially when I have my ASUS MeMo Pad 7 with me. I can scroll through through hundreds of recipes in a matter of minutes, and when I find one I like, I can just take right into the kitchen with me and follow along. The pictures are crisp and clear and I can even adjust the sleep setting to never so I don’t have to constantly keep touching the screen and unlocking it. (If you do that, just remember to set the setting back so it doesn’t drain your battery.) Once I have my recipe ready to bake, I can use the timer setting to keep track of time. And if the final product comes out picture-perfect, I can always use the built-in camera to take a pic and brag about it later. I absolutely love my ASUS tablet. I have found so many great uses for it so far, and I can continue to go on and on about all its cool features, but maybe you should just join the Intel Advocate Experience and see for yourself! So cool! I'm such a paper and pen type of girl but I know these tablets make life so much easier. I need to get with the times.